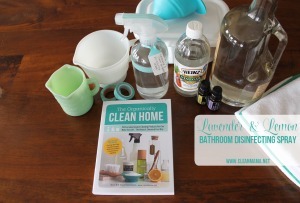 If you’re like me and don’t love the smell of white vinegar, order you’re going to love today’s post! 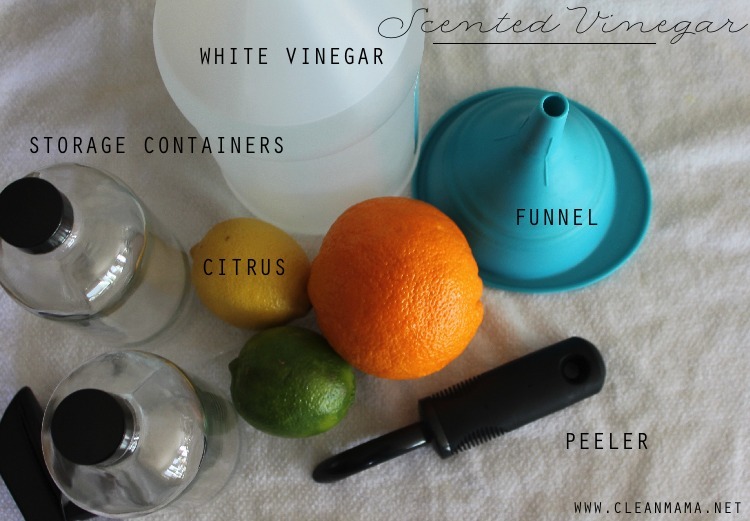 It’s an easy way to naturally give your white vinegar a subtle scent while cutting that sharp pickle-y smell. 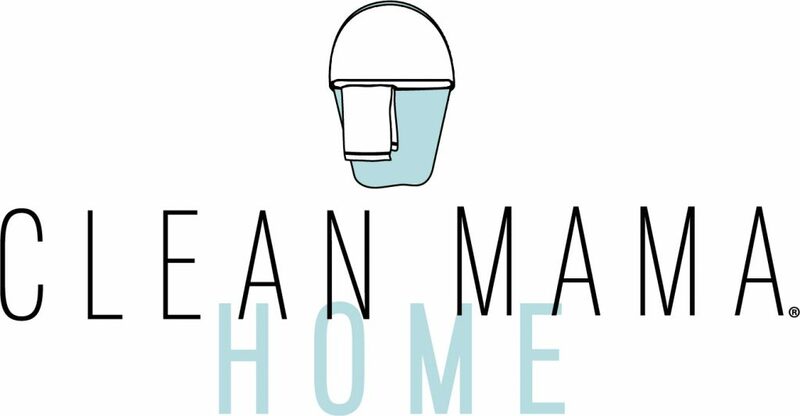 Better yet, it’s simple, natural, and inexpensive! 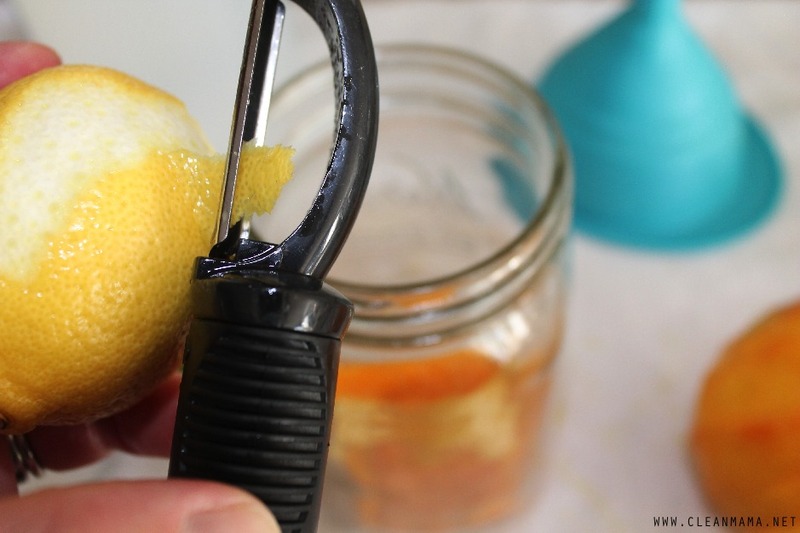 Use a fruit and vegetable peeler and peel the zest from the fruit, taking care to just get that bright first layer and not the lighter colored part of the rind. 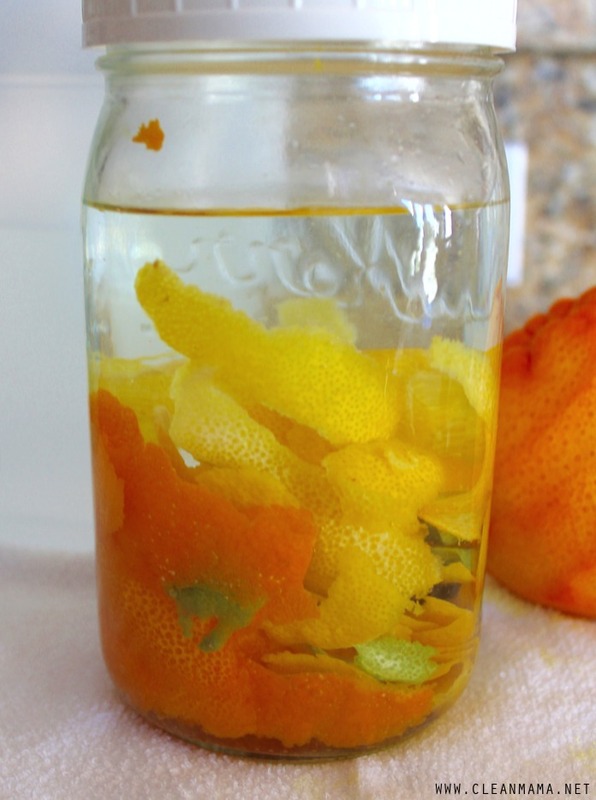 Fill the jar at least half way up with the citrus peels. 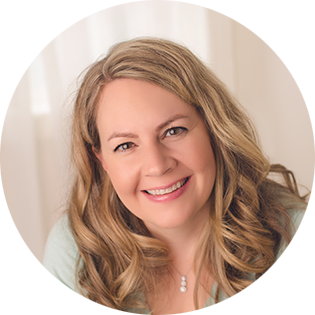 Using a funnel or pour carefully, fill the mason jar with white vinegar. Let ‘steep’ in a cool, dark place for one to two weeks. 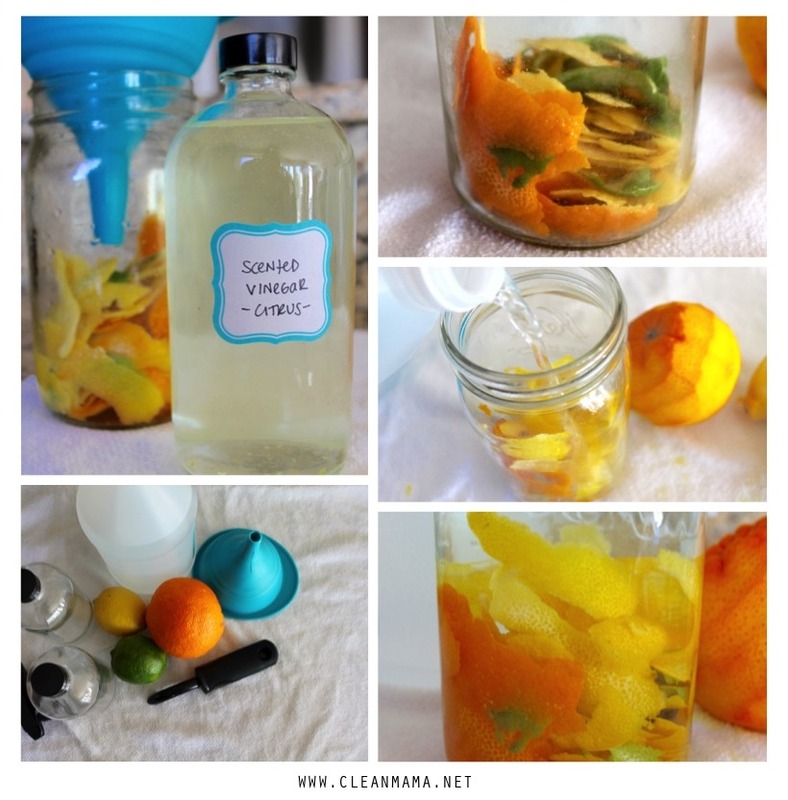 This will allow the natural essential oils from the citrus peels to infuse into the vinegar. 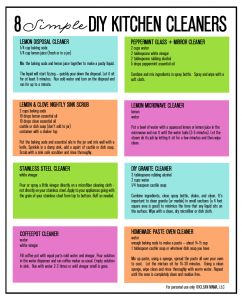 Strain off the peelings (pour through your funnel) and toss the peels or use a couple to clean your garbage disposal with a handful of ice cubes. 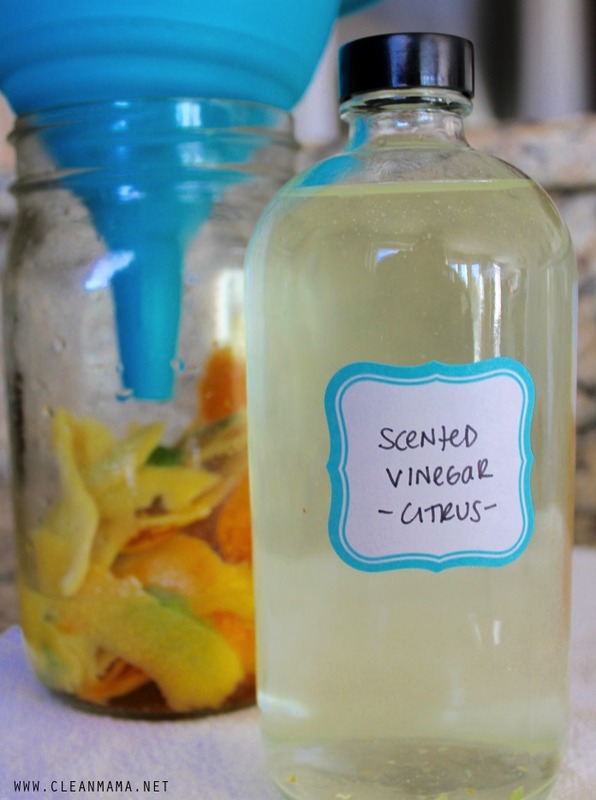 Place in a spray bottle or sealed bottle and use as you would use regular vinegar but this time your vinegar will have a wonderful scent! 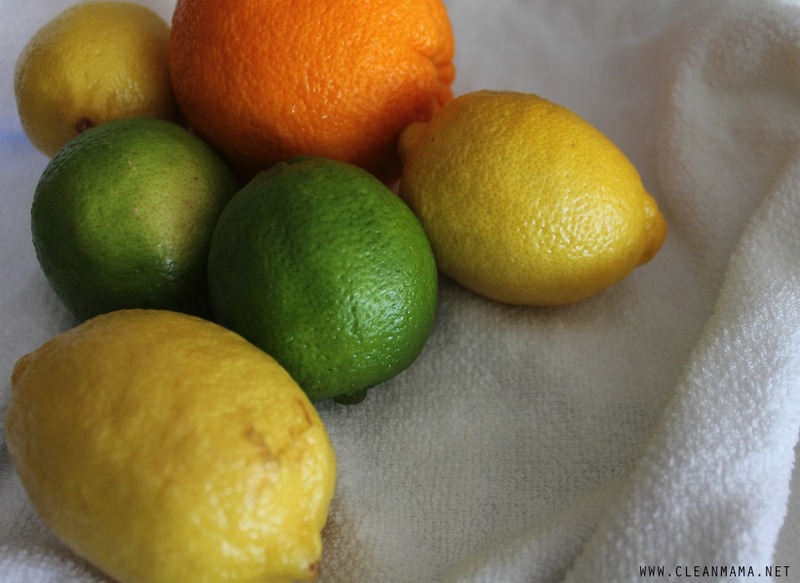 Have some extra citrus around? 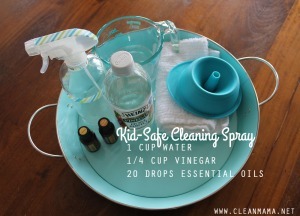 Or just want to have better smelling vinegar? 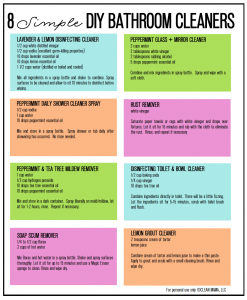 This is the perfect simple formula for vinegar that smells good and is the perfect household cleaner! 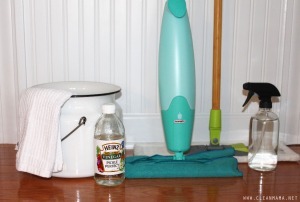 Not sure what you can clean with scented vinegar? 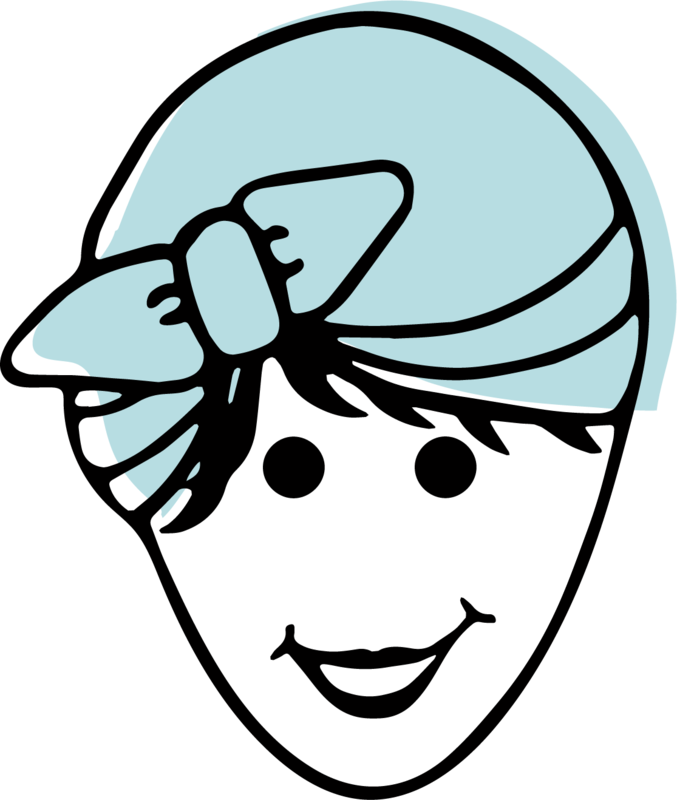 Check out these posts – just click on the images to go straight to the post! Where did you get the bottles you showed storing the scented vinegar? Are the bottles available yet and where are they located on your site? Thanks. 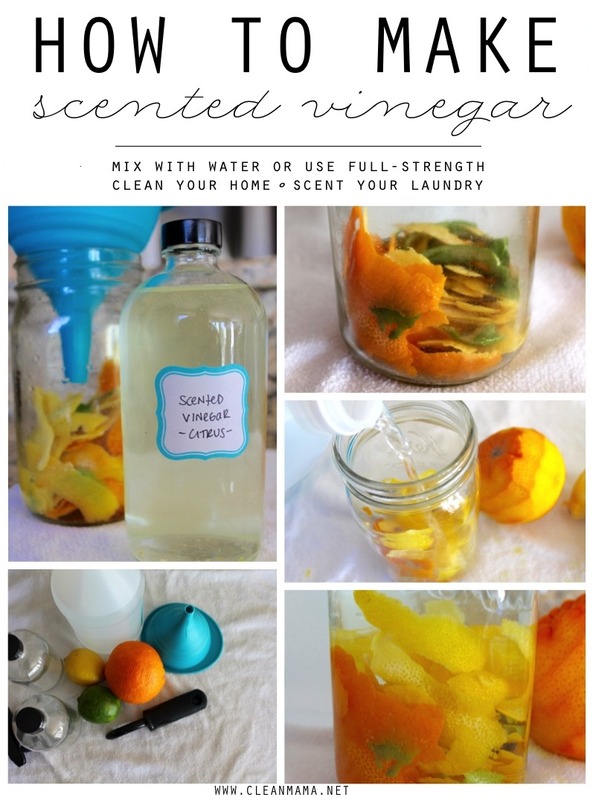 Do you use scented vinegar for fabric softener? Can you add a couple drops of essential oils?